We've partnered with KIBA Studios of Mineola. We are excited to help you get started on your next kitchen or bathroom project. As your local kitchen and bathroom remodeling experts, we make it our priority to make your dream space a reality. We value your time, and have created a revolutionary way to begin your project from the comfort of your home. You can get started with an estimate, request design plans, or schedule an in-person meeting using our Kiba website. Below is an overview of the services we offer, but if you’d like to explore our products in person or speak with a Kiba designer about your vision, then stop by our showroom. You can find us located at 450 Jericho Turnpike in Mineola, NY inside of Harry Katz Carpet One Floor & Home. Starting a kitchen remodeling project can be tricky, but we take the stress out of it for you. 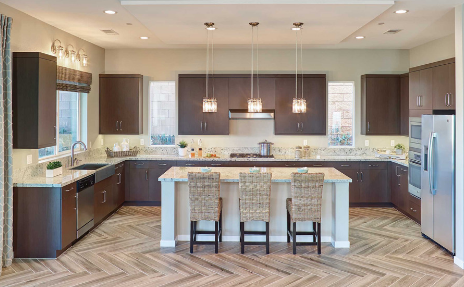 Whether you are just looking to update the cabinets or plan to build from the ground up, the design experts from Kiba are ready to answer your questions. We have everything from fixtures, flooring, countertops, appliances, backsplash, and much more. Kiba can help you transform your bathroom into a luxurious personal retreat. You use your bathroom every day, so you deserve a space that reflects your personality and your personal style. Whether you want a simple update or a full-on renovation with new fixtures, flooring, and sinks, Our Kiba design experts are ready to help you find the perfect products for your bathroom.